Mor Athanasius Shemvun was the first patriarchal delegate send by the Holy See of Antioch to the church in India after the historic Mulanthuruthy Synod of 1876. Known widely as pious & prayerful person, he taught orthodoxy to the clergy and faithful, staying at Mor Barsaumo church (Puthenpally) in Kottayam. He hails from the Turab'din region in S.E. Turkey, the cradle of of Syriac Christianity. A brief history: The second half of the 19th century was a turbulent period in the history of Malankara Church following undue interference of the European protestant missionaries in its internal affairs. Since the missionaries had the support of British colonizers of India, the Church suffered a great. 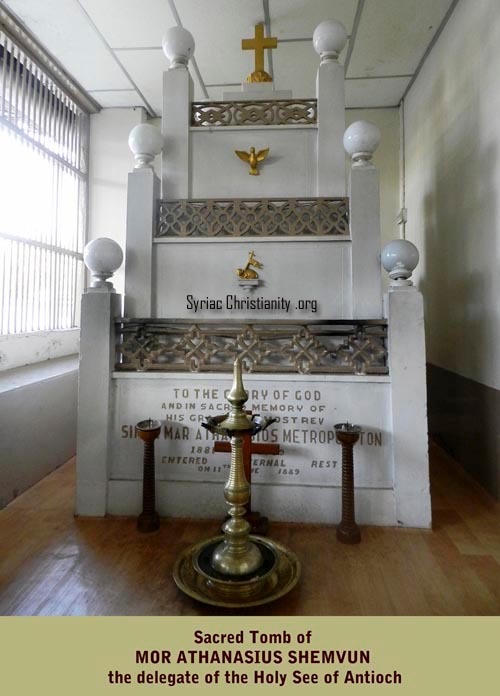 Many churches, including the lone seminary of the Syriacs in Kottayam, fell under the control of these missionaries. A turnaround happened only after the historic visit of the supreme head of the Church, the Patriarch Moran Peter-IV in 1875 and the Mulanthuruthy Synod of 1876. The holy father returned to patriarchate in Turkey, the very next year. Though the undue interference of British rulers ended with this, disputes in courts regarding the ownership of many churches were pending. Moreover the decades of European protestant influence had a negative impact on the faith & traditions of the Syriac Church. All this compelled the church in India to request the patriarch to send a delegate to guide them. 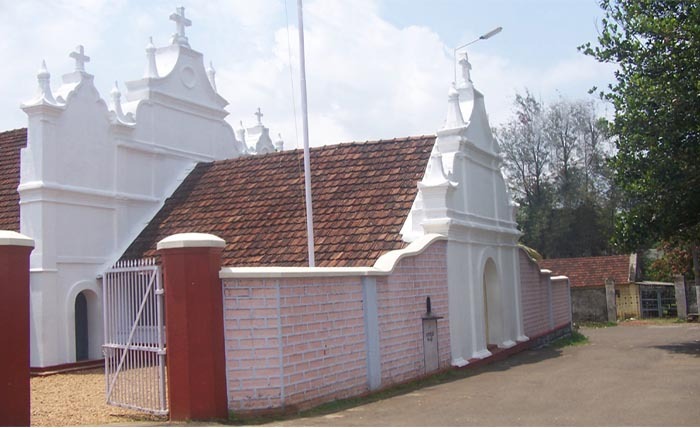 In 1880, the Malankara Metropolitan Mor Dionysius Joseph Pulikkottil and Mor Gregorios Geevarghese Chathuruthil wrote letters to the Patriarch Moran Peter-IV describing the difficulties in the Malankara Church due to the Protestant schisms. Consequently, the Patriarch Moran Ignatius Peter IV ordained the Monk (Ramban) Shemvun as Metropolitan, by name 'ATHANASIUS' and sent him to Malankara along with Deacon Sleeba (Mor Osthatheos Sleeba, the delegate). Three decades before in 1849, Ramban Shemvun had been in India for a short period along with Mor Athanasius Stephanos of Turab'din. On January 1, 1881, Mor Athansius Shemvun and Deacon Sleeba reached Kochi. While in Malankara, Mor Athanasius Shemvun was residing and conducting services at the Barsawmo Church (Puthenpally), Kottayam. Sadly there is not much written history available about his past nor on his pastoral work in India, however he is widely regarded in Malankara as an esteemed father who spend lot of time in prayers like the early desert fathers of Egypt. His life in India lasted for just 8 years. It was towards his fag end of life that the Syrian Church regained control of the Seminary at Kottayam (Old Seminary) subsequent to the Royal Court Judgment and after that he shifted his residence to seminary. However within a few months of stay here, his health deteriorated and passed away on on 11 June 1889. The mortal remains of the holy father were interred at the Northern side of the altar of Mor Barsawmo’s church (Puthenpally) Kottayam. The anniversary of Mor Athanasius Shemvun is celebrated on June 11.